Did you know that the quickest way to whiten teeth is through the use of in-office teeth whitening procedures? At-home kits simply won’t give you the results fast enough and in many cases you may not even notice results. To add, many at-home whitening kits take a considerable amount of time before the effects begin to show, if they show. 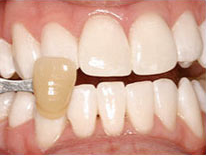 The Zoom whitening procedure is exactly the way it sounds: a quick way to whiten your teeth (hence the word “zoom”). It’s a great, advanced method that many dentists are using because patients are actually seeing results the minute they walk out of the office. The magical ingredient – which also happens to be the ingredient in many at-home kits – is hydrogen peroxide. You probably have this chemical sitting around in your house as a way to disinfect cuts and is used for a variety of other reasons. Zoom is different because it contains higher levels of hydrogen peroxide over at-home kits, and also requires the use of a special activation tool which is where the magic happens. Activated light on the hydrogen peroxide causes it to create a reaction strong enough to clean the enamel of your teeth – leaving you with a whiter smile. Of course, the level of results you see will solely depend on a variety of factors, but you definitely WILL see a difference. That’s the beauty of technology. It Takes More Than Just Zoom. Zoom whitening may leave you with a whiter smile right out of dentist’s office, but keeping a white smile takes more than just a procedure: you should steer clear of teeth staining substances such as coffee, wine, certain teas, sodas, soy sauce, etc. Basically, if a drink or food is dark in color, then there’s a good chance it will stain your teeth. You don’t have to completely avoid these – just try and limit yourself. And of course, always brush and floss your teeth. You can even use mouthwash as a way to top off your routine for a fresh, clean mouth. The only downside with this is that mouthwash will most likely wash away the fluoride that you spent 5 minutes brushing onto your teeth. Enhance your smile today with the power of Zoom whitening proudly offered by Image Dental OC, your cosmetic dentist in Newport Beach.